Aberdeen International Airport managing director Steve Szalay. 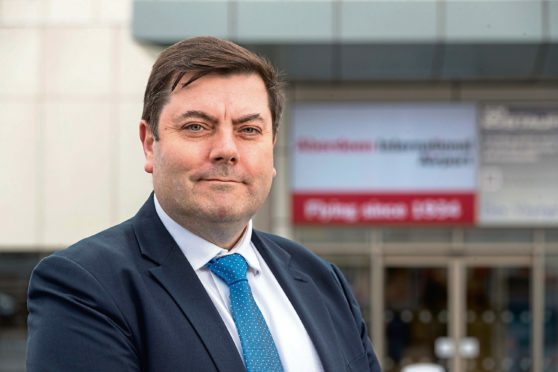 Mr Szalay, a former Army officer who has worked in the aviation industry at London’s Heathrow and Gatwick airports, and then as ground operations director for airline Jet2.com, said: “I had never been in Aberdeen before, and got a really pleasant surprise. One of the challenges is to help get across the attractions of Aberdeen and the wider north-east to a larger audience, he said, adding: “Before I came here I imagined the place would be full of petrochemical plants. “It’s not like that at all,” he added.